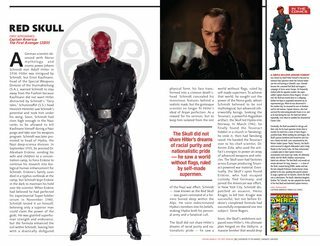 Captain America takes center stage as the MCU Guidebooks’ comprehensive coverage of the fan-favorite Marvel Studios films and Marvel TV shows continues! Look back on the dark days of World War II as we declassify the secrets of Project Rebirth! 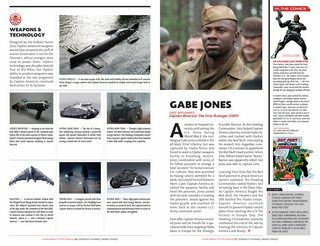 Featuring fact sheets, movie-to-comic comparisons and production stills, this issue is packed with profiles of Steve “Captain America” Rogers himself; patriotic allies including Bucky Barnes, Peggy Carter, Dr. Abraham Erskine and the Howling Commandos; enemies of liberty including Hydra, Arnim Zola and the Red Skull; and updates on Howard Stark and Nick Fury! Plus: Cap’s mighty shield! The Tesseract! Yggdrasil the World-Tree! And more! 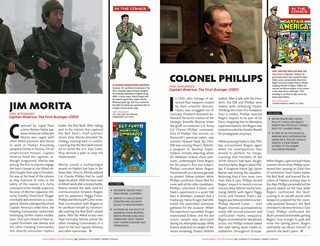 Relive the big-screen thrills of Marvel’s Captain America: The First Avenger right here, and continue building your indispensable library of Cinematic Universe reference books!